Happy to see me or central air? Get your minds out of the gutter, its central air (and heat!). These octopus like ducting is all over the house right now. As promised by our HVAC guy, the ducting has been squeezed through existing walls without damaging any detail. We did have to drop the ceiling in a bathroom (which was originally 10 feet high so I wasn’t too upset about that) and we may have to add a small soffit above a hallway door (which I’m really not happy about) but that seems to be the extent of the ugliness that this system will inflict. On the plus side, all the radiators will be removed. This is particularly good for our extra small rooms that could really use the extra floor space by the window that was once occupied by a radiator.  Mr. Limestone can go into the details of what kind of system we have as he is well versed in the specifications. But to sum up we will have two units - one on the roof that cools the top and parlor floor and one in the basement mechanical room that cools the garden and basement floor. The heating will go through the ducts as well but the source of the heat will be a boiler to avoid the dry heat issue of forced hot air. We will be able to control the temp on each floor with the help of motorized vents operating on thermostats. Neither of us has ever lived in a centrally heated/cooled house so we are pretty excited about the idea of being cool in summer without lugging leaky window units all over the place. I’m sure there are some things we'll miss about radiators (like putting wet shoes on them to dry after a snowstorm) but for now, I’m not going to just think about the good things. Greetings! I am very curious - how are you running hte heat through the tubes without running into the forced air problem? Isn't it forced air coming through those tubes? I'm about to start renovating a house in Manhattan, where radiators were stuck in at all sorts of odd locations. All the floors will have to be replaced, so I'm thinking about using radiant floor heating. However, I have not even begun to evaluate costs or feasibility, so that may be just plain crazy. So I'm curious about what it is that you're doing; I'm with you in not wanting to have dry forced hot air. We will have a hydronic coil heating system - one in the basement and one in the top floor. So essentially its like two huge radiators that are tucked away. The radiators are heated by the boiler and then the "moist" hot air is pushed through the ducting into the rooms. I dont know what kind of townhouse you have but radiant heat flooring isnt ideal in a lot of situations (many of which we have in our house like wood floors, etc..). Also it seems like a nightmare to repair if something breaks. I know this is an old issue for you, but we're contemplating installing central air in our 1900 house in the Bronx. Are you happy with it? Would you recommend your HVAC contractor? Did you lose a lot of closet space? I am also not used to not having window units - we grew up all sleeping in my parents' room on hot summer nights with the only a/c! We've come a long way since then, but central air is still foregin to me. Tricia - You didn't leave your email address so I don't know how to contact you otherwise. Hopefully you are checking back here. We love having central air. Its an amazing luxury. As for the guys that did the installation, I would say they had a lot of 'tude and were very condescending but ultimately did a good job. I guess that is the best I can hope for with this type of thing. We didn't lose any real closet space. We had to drop the ceilings a bit in a closet and in a bathroom but we had the space so its not even noticeable. All that said, if you don't use window units then I'd say you aren't quite so in need of cool air as I am. I couldn't sleep without an air conditioner so getting central air was a logical choice for me. If you don't really use it now, its a pretty expensive upgrade. Thanks so much for your response. We have several window units now, the granddaddy of which crapped out this August, so we'll need to replace that behemoth anyway. Neither my husband nor I have known anything other than window units, and that was more as adults than as children, so it's a scary prospect to think of all this ductwork and compressors and yada yada. We're aiming for an early spring install, and I want to glean as much knowledge as possible before then to avoid the condescension you mention. Although the more I deal with contractors, I'm learning that's not really possible! First off I just wanted to say thank so much for creating and keeping up this blog. It's been an amazing source of information as my wife and I embark on renovating an old Brooklyn town home. I was just wondering if you guys had ever considered this option. Hi Ryan - thanks. Not sure if youa re checking in on this thread or not but you did not leave your email so I have no way of responding directly. Anyway - Im not a fan of the split systems. They seem to have all the negatives of window airconditioners (unsightly, doesn't provide consistent cooling to all parts of the house, etc.) with all of the negatives of central air (expensive, requires holes in the walls). So it was never a serious consideration. We would love to have central air in our place. I guess now I'm wondering what the cost difference is between the split system and central air. Installation cost I'm sure varies by contractor. I posted on a heating forum online where people are suggesting we keep our boiler for when then temps go below 30, and install split systems for summer AC and heat when the temp is above 30. But, then we have radiators AND those units on the ceiling... definitely not the most aesthetically pleasing option. It looks like your HVAC people did a nice job hiding the duct work. Was it crazy expensive? Would you feel comfortable passing on their info if you if you were happy with them? Congrats on having such an awesome home and thanks again. No, your email isn't showing up. Can you email me directly?